With the Honor View 20, Huawei achieves a spectacular upgrade by offering a smartphone with a refined and innovative design whose technical sheet is worthy of a flagship. This mobile announces itself as one of the references for this beginning of the year 2019. Honor has built a solid reputation in the entry-level and midrange smartphone market. For 2019, the Huawei brand has decided to beef up its game and did not do things by halves – the Honor View 20 aligns a premium design and a series of innovations that demonstrate the mastery of the manufacturer. As the Honor V10 did last year, the View 20 lands in the Honor catalog to become its most powerful phone. A model that brings us everything that the different leaks promised us from the hole in the screen to the Kirin 980, and an impressive main camera. 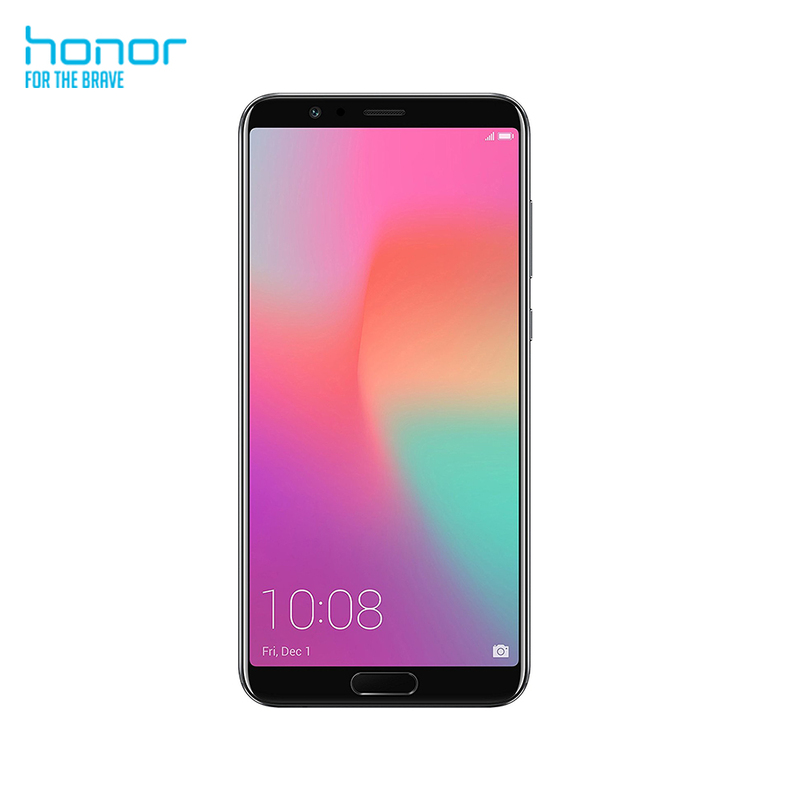 Honor can boast of being one of the first brands to offer a 25-megapixel front camera embedded in the screen using a circular cutout. What’s more, the diameter of the hole is only 4.5 mm where the competing designs are around 6 mm. The difference may seem minimal, but it counts when it comes to creating a sense of immersion to watch a movie and play. As a result, the “full screen” sensation is really bluffing on the LCD 6.4″ ratio 19.25:9, which displays 2,310 points by 1,080 on 92% of the front panel. The View 20 is one of the first to use the all-new 48-megapixel Sony IMX586 sensor. Supported by the Kirin 980 processor and artificial intelligence (AI) that optimizes the shots, the camera promises clinches of great clarity. For low light conditions, the system will combine the pixels by four to produce 12-megapixel photos brighter and quieter. The smartphone can film ultra HD at 30 frames/sec and also has a slow-motion mode at 960 frames/sec in HD. Next to the View 20’s rear camera is a 3D sensor that emits an infrared beam to measure the distance between the smartphone and the subject. This state-of-the-art technology, which can only be seen on a few high-end mobiles, allows 3D modeling. Honor discusses several applications, including the ability to create a 3D model of a subject and give it life on the smartphone with animations. It will also be possible to connect the View 20 to a TV via the Honor dock and thus enjoy the 3D sensor to play games based on real-time motion detection. Other applications both fun and practical are coming. If front view Honor View 20 plays the card of minimalism and sobriety for very good reasons, its back reveals a style that asserts a true personality. Indeed, it has been engraved with a nanolithography process to create an invisible texture in V which is shown in a gradient of colors with the play of reflections. The View 20 is powered by a heart of eight octuple Kirin 980 chip engraved with a delicacy of 7 nanometers, which places it in a selected club of very high-end smartphones. This type of processor boosts performance while significantly reducing power consumption. The battery life of 4000 mAh looks very comfortable. Note also the Link Turbo mode that allows using Wi-Fi and 4G simultaneously to download faster and a dual-frequency GPS to improve the accuracy of geolocation. For connectivity, Honor chose the USB Type-C while retaining a headphone jack for wired headphones. Style, fine finishing, advanced technologies, the Honor View 20, marketed for 549.90 euros and ticks all the boxes of a high-end smartphone and more.